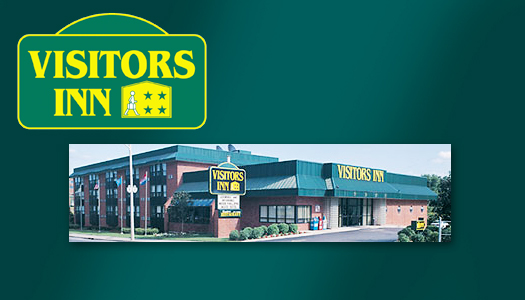 Visitors and residents a peaceful and enjoyable alternative to "big box store" shopping. Our strong BIA continues to ensure that residents and visitors have a positive and rewarding experience in the town core. 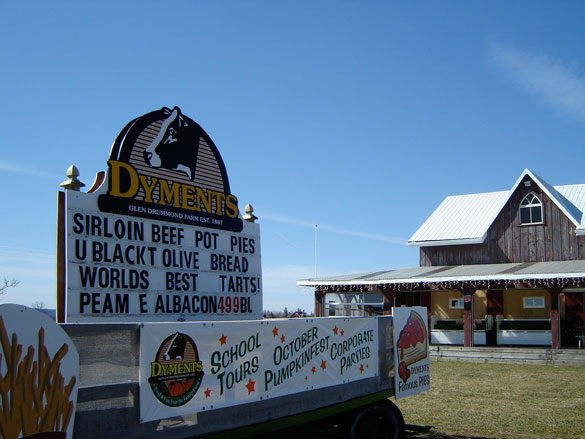 The broad range of products, services and events make Dundas a successful and bustling center for people of all ages and interests. 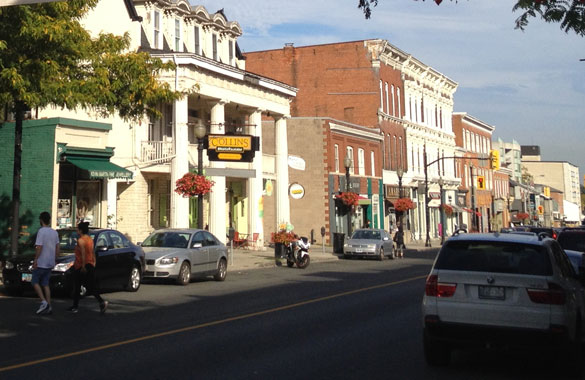 From restaurants, shops and stores, specialty and gourmet foods to medical clinics and municipal services, Dundas mixes the feel of a small town with the sophistication and flare a cosmopolitan centre. Resident and visitors to Dundas can enjoy many wonderful opportunities for adventure and discovery. Our beautiful conservation areas preserve the flora and fauna of our region and provide safe passage for many migratory species that appear every season. Shops and stores in the Valley Town, and the surrounding valley region, offer everything from fresh farm produce to the latest in kitchen and home decor. 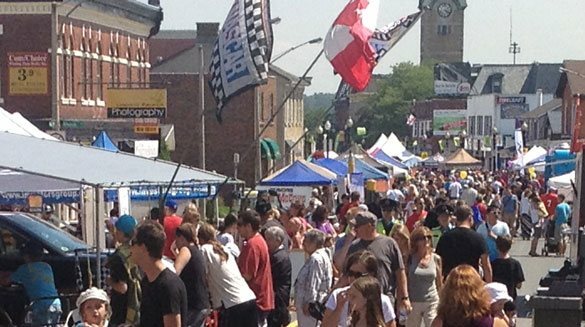 Each year the Dundas BIA ( Business Improvement Association ) sponsors this popular 3 day event on the main street of Dundas. King Street is street closed to vehicles for the whole weekend allowing performers, buskers and magicians to entertain visitors throughout the day. Street vendors and local stores to display their new items for sale from tent booths on the street. Food choice is plentiful. 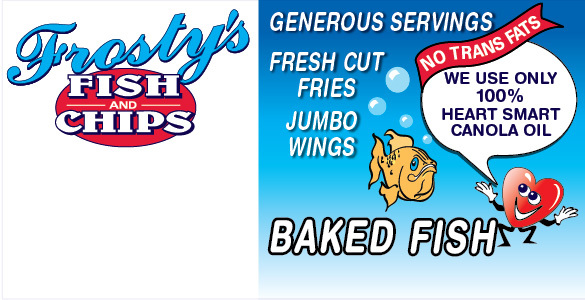 All stores and restaurants are open. Friendly and helpful security officers and Hamilton Police Officers provide the safety and assisitance to all visitors. Scattered throughout the valley are smaller retail areas that will delight shoppers with their unique offerings. University Plaza, on the border of Dundas with the City of Hamilton, has a large number of stores and services. 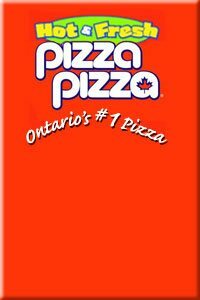 A wide range of dining experiences are available in Dundas. From traditional Canadian Dishes, English Pub Food, Fish "&" Chips and Tex-Mex, to Excellent Roadhouse Fare, Pure Thai Cuisine, Russian Dishes and very high end dining at Quatrefoil - there is something to satisfy every palate and sensibility. 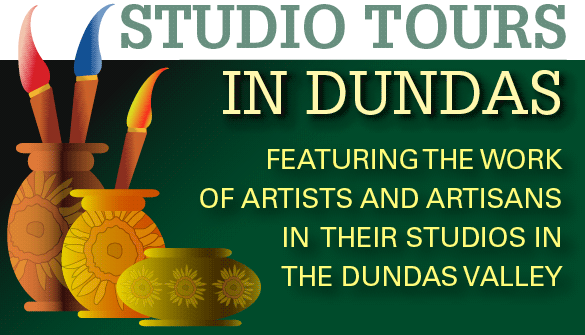 There are two studio tours in Dundas. One is called Dundas Studio Tours and the other is called Beyond The Valley Studio Tour. 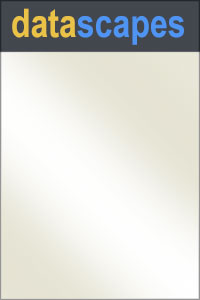 Artists and artisans invite the public into their studios allowing them enjoy a glimpse into their world and how their works and wares are produced. Great gift ideas ranging from the practical to the purely decorative can be found in each studio on each of the tours. 2) The weekend after Thanksgiving. The well-known Studio Tours of Dundas feature the works of locals artists and artisans on display in their studios. 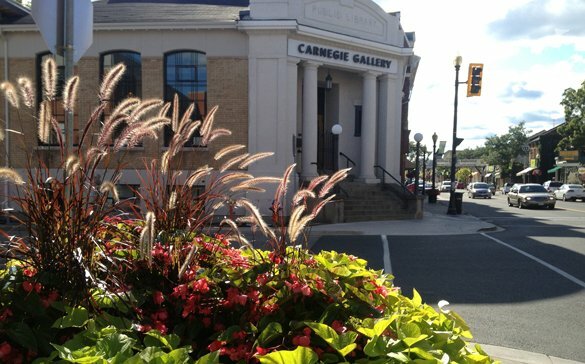 The Carnegie Gallery, located in the heart of town regularly displays works by local artists and artisans as well as scheduled exhibitions by artists. From our beautiful Dundas Conservation areas to the stores and shops in the historic town, there is something for everyone who visits or lives here. A well known potters and artists paradise, many Dundas studios are open to the public throughout the year. Seasonal tours allow visitors the to see many studios in one trip. 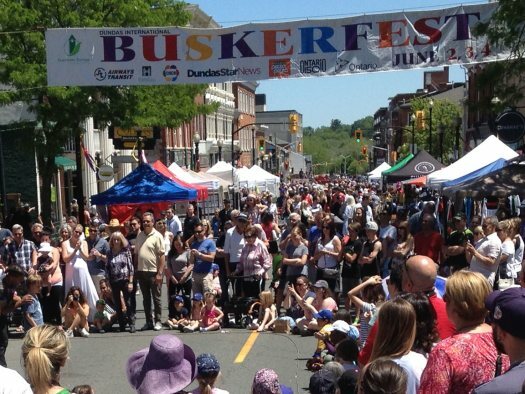 The world famous Buskerfest Festival ( put on every year by the Dundas Downtown B.I.A.) and the Cactus Festival ( every August ) are just two of the many events that take place here throughout the year. Dundas is rare indeed. A town surrounded by natural areas puts our centre of civic life on the threshold of conservation areas that are carefully managed to ensure that human activity avoids threatening the survival of the local flora and fauna. For more information please visit The Hamilton Conservation Authority and the Royal Botanical Gardens. Our Industrial Area The Dundas Industrial Park is close to the core, of the town. It is home to a variety of service, manufacturing and importing businesses as well as a Bike and Skateboard Park and a Curling Club. 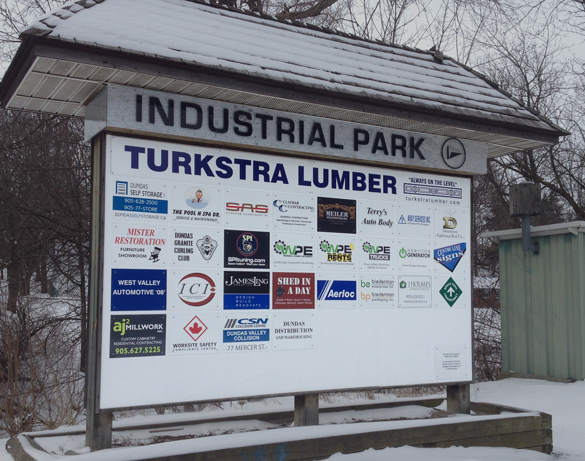 The local community of Dundas is well served in this area by automotive and auto body repair shops, a large lumber and building supply company and a landscaping equipment rental company. Large storage facilities, Menonite furniture sales as well as steel fabrication services can also be found in the indutrial park. 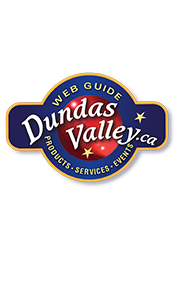 The complete web guide to Dundas Ontario and The Dundas Valley provides visitors with information and links to products, services and events in the region. With over 30 categories of interest ranging from arts, automotive, schools, health, household, sport, travel, restaurants, pets and seniors, DundasValley.ca is a rich resource for visitors. 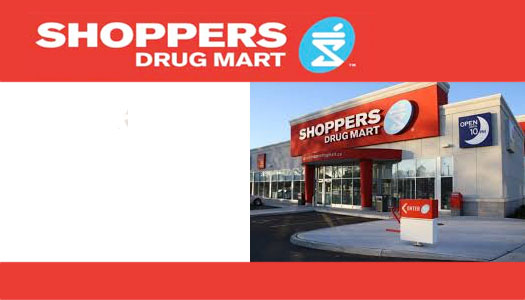 We Serve Clients Across Canada and the U.S.
Dundas Ontario offers visitors and residents a peaceful and enjoyable alternative to "big box store" shopping. A strong BIA continues to ensure that residents and visitors have a positive and rewarding experience in the town core. 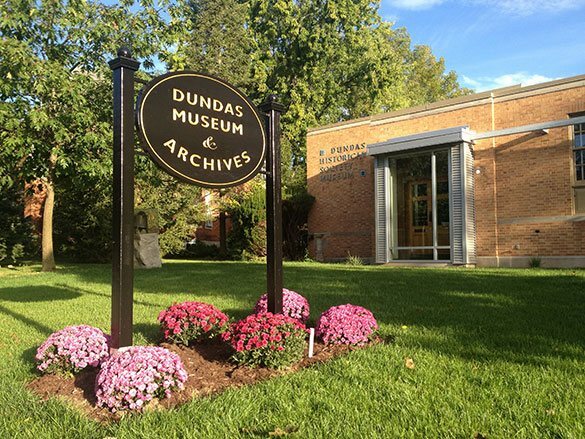 The broad range of products, services and events make Dundas a successful and bustling center for people of all ages and interests. From our beautiful conservation areas to the stores and shops in the town center, the Town of Dundas Ontario and the surrounding Dundas Valley offer residents and visitors many wonderful opportunities for adventure and discovery. 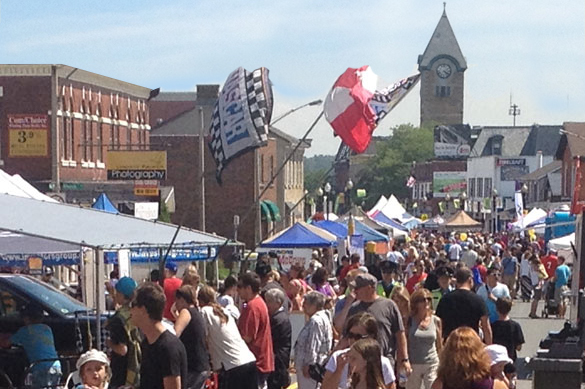 Each year the Dundas BIA sponsors this popular 3 day event on the main street of Dundas. King Street is street closed to vehicles for the whole weekend allowing performers, buskers and magicians to entertain visitors throughout the day. Street vendors and local stores to display their new items for sale from tent booths on the street. Food choice is plentiful. All stores and restaurants are open. Friendly and helpful security officers and Hamilton Police Officers provide the safety and assisitance to all visitors. Scattered throughout the Dundas Valley are smaller retail areas that will delight shoppers with their unique offerings. Artists and artisans in the Dundas Valley invite the public into their studios allowing them enjoy a glimpse into their world and how their works and wares are produced. A well known potters' and artists' paradise, many Dundas studios are open to the public throughout the year. Seasonal tours allow visitors the to see many studios in one trip. The complete web guide to Dundas Ontario and The Dundas Valley provides visitors with information and links to products, services and events in Dundas Ontario.